Rolex 5513 - Beautiful Tropical Gilt dial, Stainless Steel Case. The Rolex Submariner is the archetypal diving watch. The reference 5513 Submariner is really one of the most simple versions of this watch. It was released in 1962 and ran for an impressive 28 years without much changing. 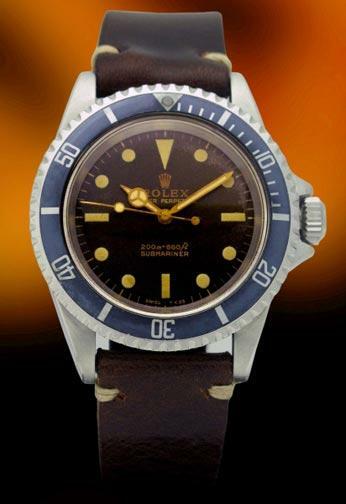 Collectors do consider it as THE Rolex Submariner, the one that represents the mark the best.